Over the past few months, we have subtly altered our logo … at the same time as totally refurbishing our Ryde open-plan office which offers attractive neutral décor (the palest of greys/whites), stunning new flooring (provided by Islandwide Carpets) plus illuminated, eye-catching window displays. We have been recognised by our white logo’d Suzukis – but now (October 2017) we have just changed these to stylish dark grey Peugeots. 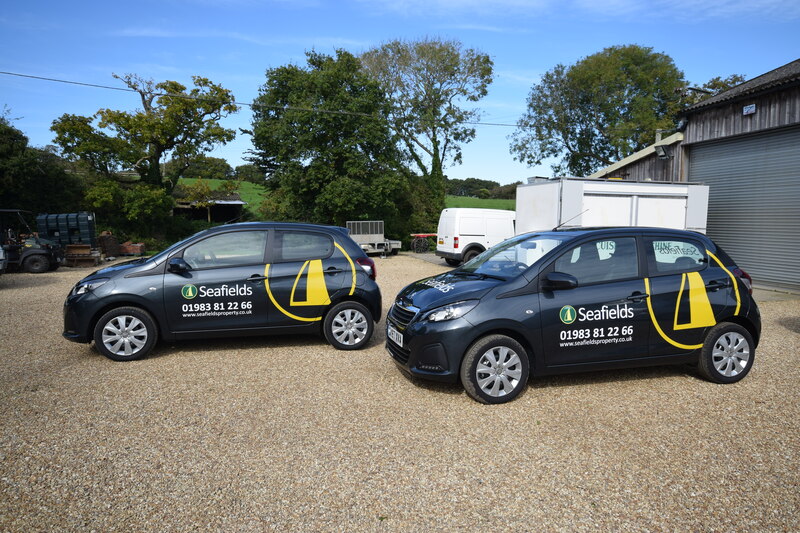 Our fleet of cars certainly cannot be missed across the Island! !